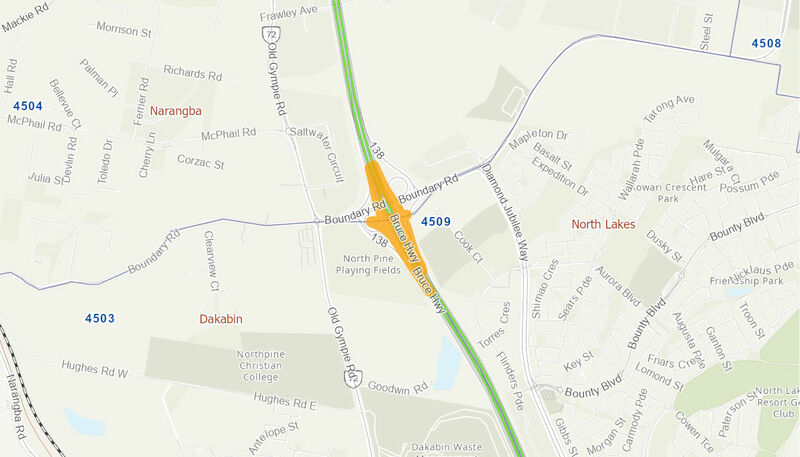 The project involves the upgrade of the Boundary Road Interchange approximately 30kms north of the Brisbane CBD and will include a new six lane, four span concrete bridge over the Bruce Highway. This project is expected to improve peak period operations and reduce delays and queuing currently being experienced at the Interchange. The improvements will provide a reduction in travel time, improving road user safety by reducing congestion-related accidents. upgraded interchange will accommodate future 8-laning of the Bruce Highway. The Australian Government has committed up to $80.3 million towards the project, in partnership with the Queensland Government. The project commenced construction in May 2016 and was completed in September 2017.